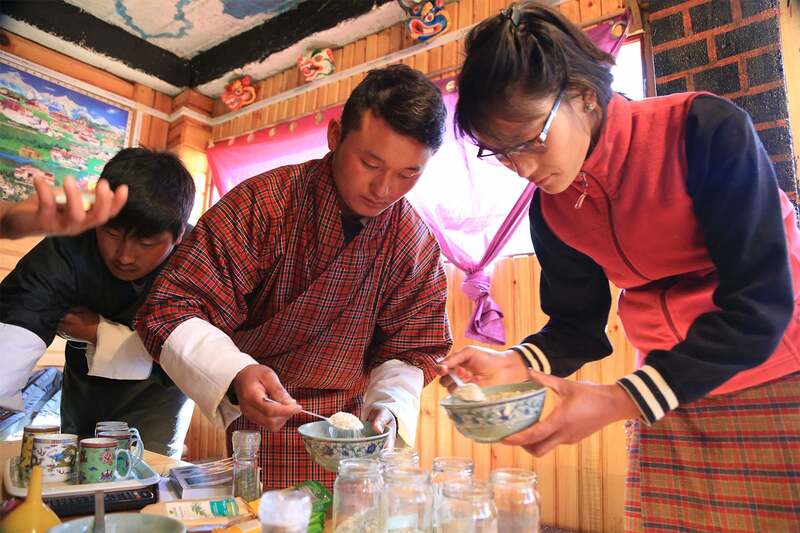 In February/March 2019, the Bhutan Network Switzerland colleagues Marina Beck and Tabea Ehrensperger (Alpine Permaculture Schweibenalp) travelled to Bhutan to visit the young farmers who had previously participated in the Organic Farmers Exchange Programme (OFEP) in Salzburg, Austria. Marina and Tabea also spent several days in Bumthang, Tang valley (approx. 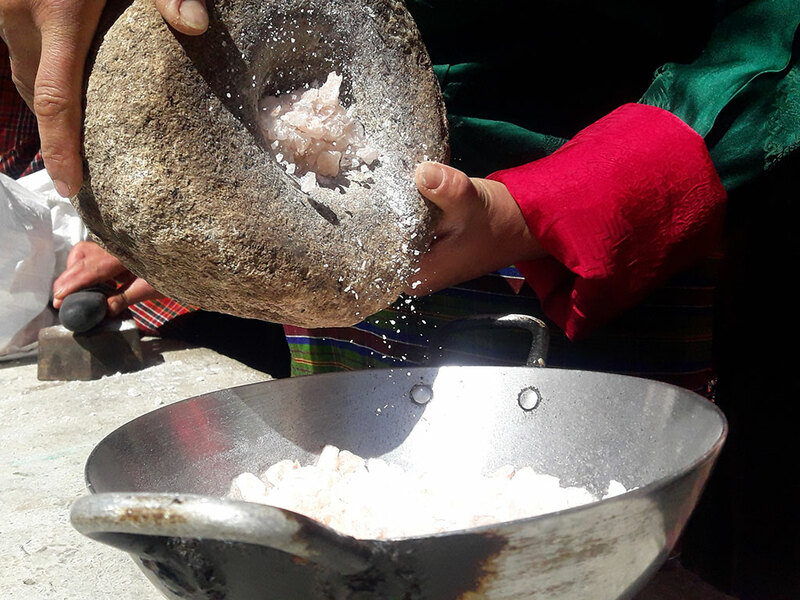 2800m asl) where in 2018 the young Bhutan Network farmers founded the Tang Farmers Group. Tabea held a one-day herbal workshop at Tshering Wangmo’s place, the main initiator of the group. She introduced the young farmers to the production of herbal salt and aroma sprays, and the use of wild plants.